Ho li Powder is the essential throw-at-the-crowd accessory at feel-good events. Used frequently for Colour Runs and Parties and Festivals, our Brightly Coloured Holi Powder has a lightweight feel and texture and has the added bonus of being UV Reactive! 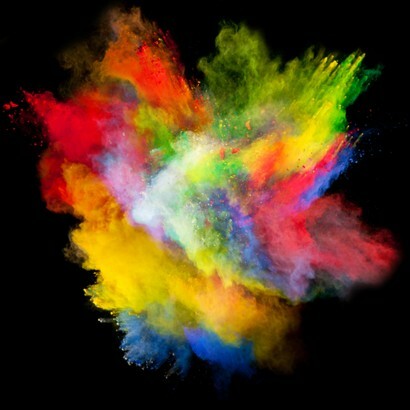 This versatile powder can be used indoors or outdoors quite literally bringing a splash of colour to your celebrations! UV reactive, these fluorescent cornflour powders come in six vibrant neon colours that glow under UV blacklight! Available in small 60 gram sachets or big Kilo bags in the following colours: Red, Green, Yellow & Blue. Other colours available by request. Contact Us for a quote and delivery!